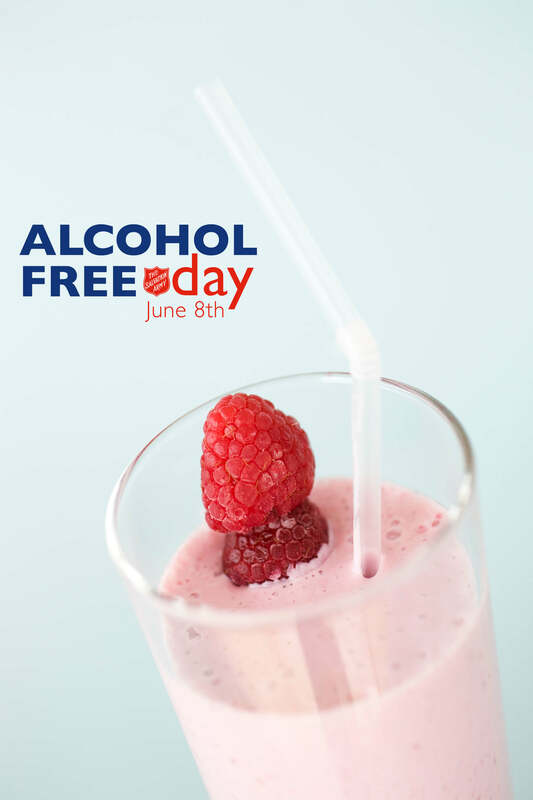 Alcohol-free Day, June 8th, is a day for solidarity and responsibility. We focus on the damaging effects of alcohol and drugs, and encourage people to abstain on this day. Alcohol-free Day was marked for the first time in 2011. We’re inviting organizations around the world to engage themselves and participate. Grab a small table and a couple of chairs to set up in your town’s square or on the railway station platform during the morning rush. Decorate with flowers and attach a poster to the back of the chair. 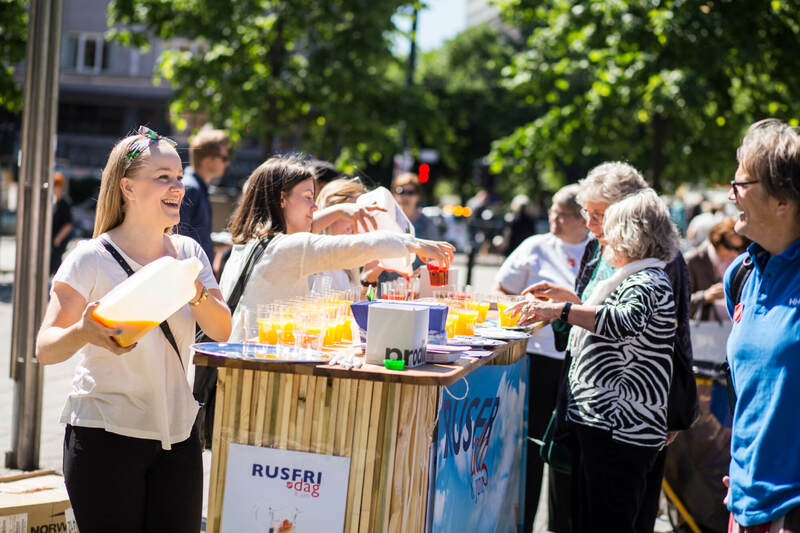 Serve cold non-alcoholic drinks, hand out leaflets, invite people to join – and smile. It can be that simple. Observe Alcohol-free Day at church on Sunday, in the coffee break at the office, at the Shop or during a staff meeting. Talk about Alcohol-free Day and serve tasty non-alcoholic beverages. When the kids are picked up from their activities: give the parents a summer drink. Serve your colleagues at lunch, your neighbours or the people living at the institution where you work. It’s that simple, and it’s very effective. The campaign’s strength lies in local initiative: meeting people face to face is the most effective way of reaching them. At the same time we want to reach as many as possible. That is why we make use of social media. Establish a national Facebook page and invite people to join. Sometimes this just goes viral and becomes larger than you would expect. Be open to people’s initiatives and answer their comments. Make use of the ambassadors and share their videos and quotes. Make a press release. It doesn’t have to be very advanced. Briefly describe Alcohol-free Day. Explain why it is important and how it will be observed in your community. It may also contain a statement from one of the organisers or ambassadors. Send the release to regional press, and don’t forget the local newspaper, radio station or TV channel. Invite yourself to the news or breakfast TV. Do you have a politician or ambassador who is engaged in the issue of substance abuse? Suggest to the TV/radio station that you come together, and set the topic on the agenda. 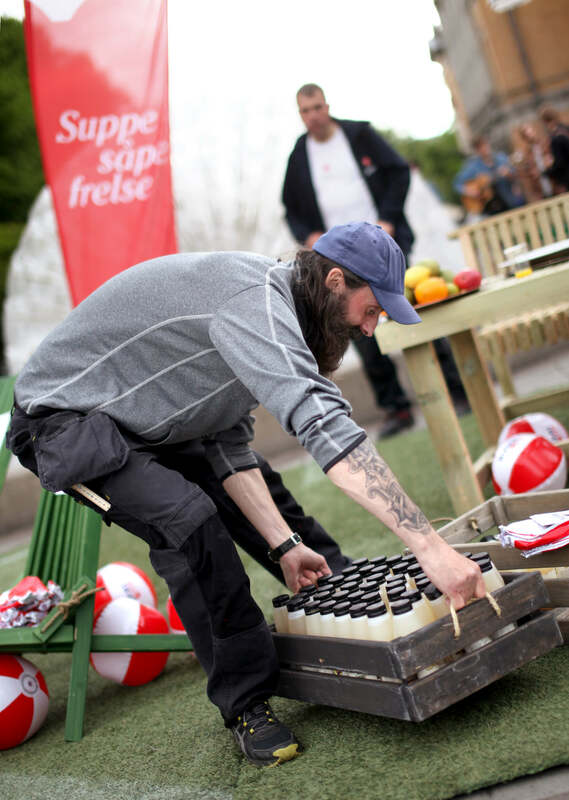 Maybe you can have a chef or a bartender joining you to present some tasteful non-alcoholic drinks for the audience. This is a feel-good day! It can be scary to go out in the streets or initiate a sensitive conversation with colleagues - but this is just fun! Fun for a good cause! And people will catch the message. It's just about getting out there - buy something good to drink, grab some chairs and a table - or flowers. They are everywhere. It is ok to go over the top - or to play it completely safe. Colourful and fresh drinks are always a hit. People like that! When we are out together as a group - having fun - the rest will follow. We reach out - put glasses on a tray, pop bottles and sparkling soft drinks, and tell everyone that this is a day for solidarity. Then they will ask…and you have a conversation going! People tend to talk. Some have got the time for it - others just rush past, grab the flyer and the drink - and can reflect upon Alcohol-free Day on their own during the rest of the day. People take pictures. People just love taking pictures - and selfies. And sharing them. On Facebook, Instagram, Snapchat – Alcohol-free Day is out there living its own life. The campaign reaches way further than we can imagine. And that is the whole point! We are just facilitating for people to start thinking and talking about this - and take alcohol and drug abuse seriously. In Norway we've had Alcohol-free Day since 2011. It's easy, it's fun and it's social. It's amazing to be outdoors. We spend way too much time inside. It's when you go out among people, that you really feel alive. Bring along friends from work or church. Let’s do this together. 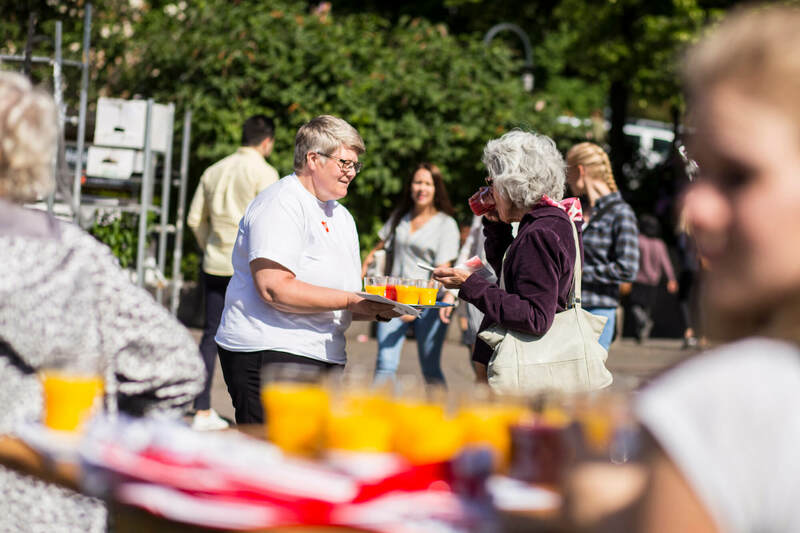 Alcohol-free Day serves as a social happening. That seems just right! Fresh cold drinks, a friendly atmosphere. Some people love music - and this can be turned into a street party - a great opportunity for music and celebration. A street artist. A famous singer. A Salvation Army brass band or a big band. Everything is right today. Let's take a break from our everyday tasks. It's fun, it's social and it's a great way to reach out. To spread the word. This is important. For our workplaces, for our social life and for our children. For everyday life. For the holidays. We want to provide good memories and experiences for everyone. Alcohol-free Day June 8th, is a day for solidarity and responsibility. We focus on the damaging effects of alcohol and drugs, and encourage people to abstain on this day. The Salvation Army has a long tradition of helping people with addiction. Alcohol ruins the lives of many. We also know that among drugs, alcohol is the one that causes the most damage in our society today – both for the individual and for society as a whole. 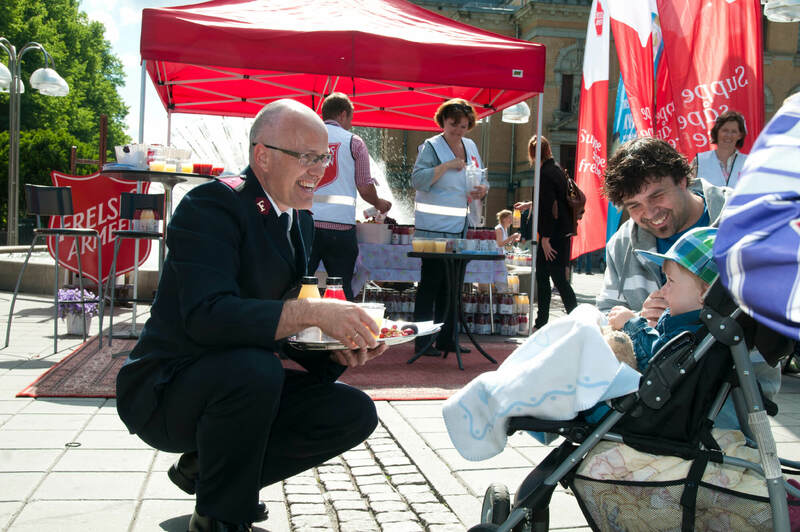 That is why The Salvation Army initiated a date to be marked annually. Alcohol-free Day was observed for the first time in 2011. We focus especially on children and young people who suffer under adults’ harmful use of alcohol and drugs, and we wish to encourage everyone to reflect on their own habits. Alcohol-free Day has stirred engagement. 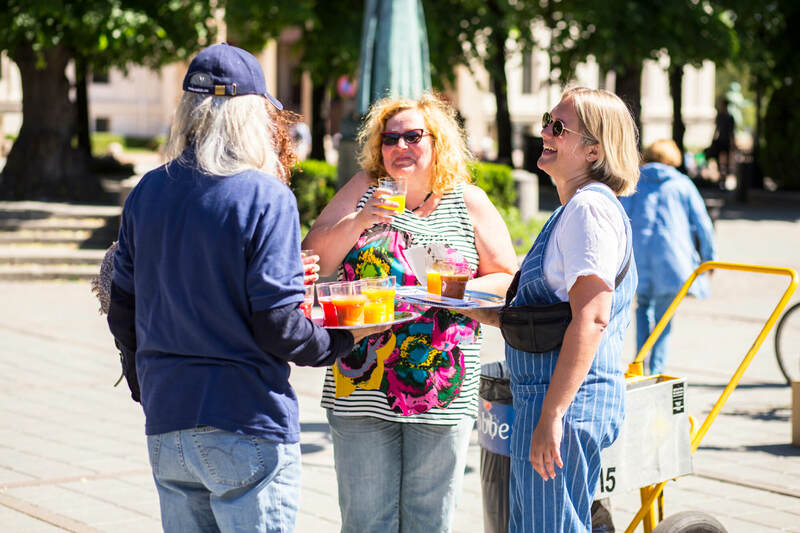 Alcohol-free Day gives us an opportunity to go out and meet people on the street, to be visible to those who suffer and those who need to be informed. Alcohol-free Day has also engaged politicians, actors, Social services, organisations and others with high profiles in our society, who choose to act as ambassadors for the cause. The campaign is called Alcohol-free Day. In Norway we call it “Rusfri dag” and in Icelandic “Vímulaus dagur”. Make sure to use an expression that most people will understand. The campaign is about alcohol, but also drugs and substance abuse in general. It covers use, abuse and addiction. Substance addiction is a growing problem in society, and it affects individuals, family life, work life and social life. Alcohol is socially acceptable, readily available, often culturally acclaimed and common in many areas of life. We know that alcohol is becoming increasingly common at an increasing number of events. 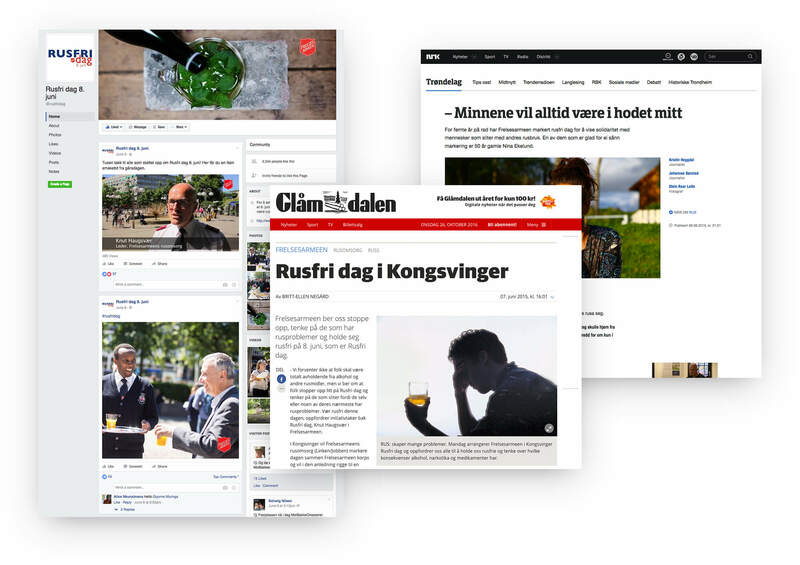 Twenty-five percent of the population in Norway think there is too much alcohol consumption at work-related events. We are aware that about half of all one-day absences from work are related to alcohol. Through our work we meet some of the people who have experienced losing their job, family and friends. We also know that there are big financial interests behind the alcohol and narcotics industry, and that some firms earn millions from increased alcohol consumption. Give someone the opportunity to be an ambassador for Alcohol-free Day. We have good experience with ambassadors – actors, politicians, children and adults. This adds another voice to the campaign and we reach a broader audience. "I want our employees to feel safe at work. That is why I act as an ambassador for Alcohal-free Day." "I want to encourage you as an adult to think about what you do when drinking alcohol around children." "In Norway alone, more than one hundred thousand children suffer because at least one of their parents drinks too much. This is not accptable." The ambassador agrees to support Alcohol-free Day on June 8th. We publish pictures of the ambassadors on our websites and in social media. The ambassadors make themselves available for public media in order to front the campaign, if they wish to do so.